One of my earliest memories of childhood is the sound of ghungrus – tiny bells that classical Indian dancers wrap around their ankles. 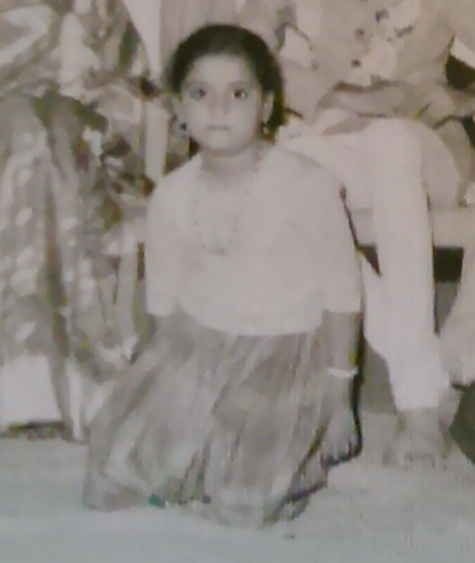 My mom, like every good Tamil mother signed me up for music and dance classes while I was less than six years old. Thrice a week, at six in the evening my dance teacher would show up. The sad part was that my friends would disappear the moment they caught sight of the dance teacher. Their subsequent joyful cries from the open playground outside my house made me restless. I would hope that my teacher hadn’t cottoned onto my furtive looks at the clock. It didn’t matter to me if he was trying to gracefully demonstrate the gait of a peacock. My eyes blurred when I heard him murmur “Dha dhin dhin dha”. Then the unexpected happened. My dance teacher relocated to another town thousands of miles away. My mom was devastated while I was delirious. Of course I was smart enough not to exhibit such joy in front of her. The effect of my discontinued dance classes was felt months later when the scrawny ten-year-old I was morphed into a chubby girl. My mom fretted “Why did she stop learning dance?” Her evenings were now spent sitting on a rattan chair in our balcony, letting out my now too-tight dresses. My growing dress size had little effect on me. In school my friends loved to pinch my “chubby” cheeks. It made me feel special for some reason. I usually wore pigtails and sometimes had a thick braid running down my back and before I knew it had unflattering braces and unfashionable spectacles. My transition to teenage was mostly about growing friendships and less to do with my burgeoning weight. College was a whole different ball game. That’s when I noticed the opposite gender. Boys. An alien species that I had never been around as the girls-only schooling had precluded this eventuality. I felt safe in the classroom, uncomfortable in the teachers lounge and terrified in the canteen. My clothes had also gotten billowy and dowdier. The braid was a permanent fixture albeit without the ribbon. I felt safe in the classroom, uncomfortable in the teachers lounge and terrified in the canteen. When I married the man that my parents had arranged for me to meet, it didn’t matter if I was fat or thin, tall or short. Kareena Kapoor and her size zero were still in our future. The best part was that my husband was also comfortably plump like me. The first time I became self conscious was when my sisters-in-law made snarky remarks about my size. Over the two decades of being married and having kids, I’ve gone through every emotion (not to mention a couple of dress sizes up and down) about my weight. And trying to analyze every potential cause. Just as I’ve finally come to grips with where I am, it’s time to deal with the challenges of being the mother of two teen girls. My daughters periodically lament about their figures, like teens everywhere, seeing fat where there is none. I wonder if it’s time again to have THE talk about body image. The girls – bless their hearts – try not to burst into laughter when I begin the “My body is my temple” spiel. They wonder aloud while I try not to gape at them.